“... A new age person expropriating, regurgitating Indic thought about god as his own, carefully omitting to indicate the source of his great new wisdom, the Indic heritage. This sort of expropriation is going on all over the place, e.g. in 'Christian' yoga, in the patenting of neem and turmeric, etc. Reminds me of Microsoft's mantra: 'embrace, extend, exterminate.'" – Rajeev Srinivasan, Indic Journalists' web-posting August 10, 2003. PANAJI: If you thought the benefits of medicine flowed into India via a one-way street, American researcher Timothy Walker would like to convince you that is not the case. This researcher of early European colonial history is currently scouring the archives of Goa to show how Indian medicine influenced the West. "Indian medicine's influence on Portugal was fairly wide. You had echoes of Indian or ayurvedic practices that come into Portuguese usage. And you can see those echoes reflected in the medicines that Portuguese physicians and surgeons are supplying and prescribing for patients in Indian hospitals and infirmaries," Walker said. What got him particularly interested is the differences between "popular" and "university trained" medicine. "For my doctoral program, I focused on early modern Europe and colonial America. My dissertation work was on Portugal in the 17th and 18th century. I looked at how popular medicine was being oppressed by licensed physicians and surgeons," he says. In turn, he got led to India "because at that time a lot of the medicines coming out of India were being shipped to Portugal." Finally, he began looking how Indian medicine influenced European medicine, via Portugal - the earliest European colonial power in Asia. Goa has one of the richest archives of early colonial history, because the Portuguese settled here in the early 16th century. Walker is locating interesting examples of drugs that were shipped out to Portugal in early colonial times. Indian influences are also noticeable in drugs in Portuguese pharmacies. "You can see it (the influence of Indian medicine on the west) thorough documentation from the 17th and 18th century," says Walker. Tamarind, for example, is a plant widely used in ayurveda. It is applied in Portuguese hospitals. It is used as a cooling agent, in combination with other medicinal plants to help the absorption of those plants and it is used in a poultice, placed on the skin. Early Portuguese colonies in India proved to be the first meeting grounds for the east and the west, particularly Goa and the enclaves of Daman and Diu around the coastline of present day Gujarat, he says. There's a lot of scholarship in the west that speaks of the way Western medicine was brought to the east, and of how 'scientific' medicine was taught to Indian people. But what is often not so strongly appreciated is how much the West learnt from the east," he points out. Walker says he has been able to locate documents that show the extent of Portuguese buying medicines from local merchants and traders. "So you have a lot of opportunities for shared medical knowledge, which I don't think was the same case with other colonial powers that were in India at the time. "In terms of documentation, you have a real gem here in Panjim. He points out there were 12,000 to 15,000 volumes of material that relatively are in very good condition. It has been well preserved and well catalogued. "This probably is the best source of documentation for people who want to look at this whole question of the West meeting the east specially in the early stages." (IANS). Will India succeed in bringing its ancient Ayurvedic plant medicines into the modern world? It started with turmeric. An essential ingredient of most Indian curries, the spice was paid tribute by Marco Polo; he compared it favorably to saffron, and noted its importance in traditional medicines. Indeed, Indian doctors have long reached for the knobby yellow root to treat a variety of ailments from skin disease to stomachache and infection. So when two U.S.-based researchers were awarded a patent in 1995 on turmeric's special wound-healing properties, a collective howl of outrage arose from the subcontinent. "Housewives have been using turmeric for centuries," says V.K. Gupta, director of India's National Institute of Science Communication and Information Resources in New Delhi. "It's outrageous that someone would try and patent it." The patent was eventually revoked, after a decade-long battle in which the Indian government and private sector spent millions of dollars in legal and research fees to prove that turmeric's qualities were well documented in ancient medical textbooks. Gupta scrolls through a list of some 5,000 applications currently pending approval by U.S. and European patent offices, jabbing a finger at the most egregious examples of what he considers to be outright theft. He estimates that at least half of those scientific "discoveries" are established remedies in India's ancient plant-based medical system, called Ayurveda. To Gupta, each application is a jewel plundered from India's vast trove of medicinal knowledge. "If this isn't piracy, I don't know what is," he says. India's traditional medicine is under attack. Not just from medical marauders taking a shortcut to the next blockbuster drug by using ancient remedies, but from modernity itself. A new generation of Indians has turned from Ayurveda to Western drugs that are cheaper and work faster. Many of the foraged plants, like bitter snake gourd—good for treating digestive disorders—are disappearing along with forest habitats. Meanwhile, Western countries have embraced Ayurveda as an alternative to conventional medicines, placing additional strains on already dwindling supplies of rare plants. Treating what ails the 3,000-year-old medical system requires a radical prescription: a massive dose of modern technology. "Ayurveda is the accumulation of thousands of generations' worth of knowledge," says Gupta. "But we have to modernize in order to mine it." Traditional remedies have long been a rich resource for pharmaceutical companies. Quinine, a treatment for malaria, comes from the bark of the cinchona tree and was an ancient Peruvian cure. But Ayurveda is different: most of its medicines are based on multiple herbs that work in concert. Ayurvedic doctors didn't just prescribe herbal cures; they documented the individual properties of each ingredient as well as how it worked in conjunction with others. Upstairs from Gupta's office, around 30 Ayurvedic doctors are poring over a collection of these medical texts written in Sanskrit, some of them more than 1,000 years old. The texts are divided into verses, each of which refers to a disease and its treatment. The doctors categorize the verses by diagnosis, treatment and plant source. The information, along with a photographic scan of the relative verse, is then uploaded to an online database and translated into English, French, German, Spanish, Japanese and Hindi. So far, some 140,000 treatments have been entered into the Traditional Knowledge Digital Library (TKDL), a $2 million project launched five years ago to provide a direct link to what is regarded in the patent world as prior knowledge. The first of its kind, the TKDL is serving as a model for countries such as Brazil and China, which also want to safeguard traditional healing systems. Once recorded, patents on existing remedies cannot be awarded. It isn't just pharmaceutical companies who are interested in Ayurveda. At upscale resorts, Western tourists spend hundreds of dollars on Ayurvedic rheumatism or detoxification treatments. Partly because of its cachet in the West, partly because of better packaging—capsules instead of bitter syrups, pills instead of difficult-to-swallow pastes and powders—Ayurveda is gaining popularity among younger Indians, too. It's a development that Indira Balachandran, author of a multivolume compendium of India's Ayurvedic plants, welcomes, but also fears. Unlike conventional medicines, which are based on manufactured ingredients, Ayurveda uses whole plants—usually dozens of them—for each remedy. "The demand for medicinal plants is at an all-time high," says Balachandran, "but it is accompanied by unprecedented deforestation and unsustainable harvesting. Our medical-resource base is shrinking before our eyes." To rescue India's Ayurvedic plants from their own popularity, Balachandran, with the backing of Arya Vaidya Sala Kottakkal (AVSK), one of India's foremost Ayurveda facilities, has established the Centre for Medicinal Plants Research in the lushly forested hills of Kerala in southern India. Part garden and part institute, the center buzzes with the activity of dozens of scientists, chemists and botanists, all intent on preserving India's herbal heritage before it is harvested out of existence. In one building, A. Sarala, a technician dressed in white coat, surgical mask and cap, bends over a beaker of tiny green sprouts rooted in agar agar. Using long tweezers, she carefully places one of the sprouts into a test tube marked with the Latin and Sanskrit words for bitter snake gourd. The herb, used in over 75 Ayurvedic preparations, is notoriously difficult to cultivate. One of the goals of the center is to figure out how to grow such plants in a garden setting. By experimenting with nutritional sources, lighting and soil pH, scientists at the center hope to standardize cultivation methods to ensure the survival of such rare herbs. "We are doing this for posterity," says Balachandran. T.S. Muraleedharan, AVSK's chief of research and development, has more immediate plans. "No doctors outside of the tradition will prescribe our medicines," he says. "My goal is to make them globally recognized." In India, it is enough that a remedy be described in one of the 54 ancient Ayurvedic texts for it to be allowed on the market, under the theory that hundreds of years of use support its efficacy and non-toxicity. But that kind of record is not enough for conventional medical practitioners, who require exhaustive clinical trials before a new medicine will be accepted by government regulators. "We know Ayurveda works," says Muraleedharan. "Now we just have to figure out how it works." Muraleedharan's R&D facility, on the top floor of AVSK's 100-year-old factory, resembles a high-school science lab. Scales, beakers and Bunsen burners litter the marble-topped counters. A young man in a white coat stares intently into the bowl of an industrial kitchen mixer as it churns through a new formula for treating skin discoloration. But in an air-conditioned corner of the lab, isolated by a glass partition, hums a massive machine that would never be found on a high-school campus. It's an Atomic Absorption Spectrophotometer, used to detect the presence of heavy metals. Next to it sits a High Performance Thin Layer Chromatograph, a computer that reads chemical fingerprints. Muraleedharan uses these machines to identify the active ingredients of traditional remedies. Once a medicine's formulation is broken down into essential components, Muraleedharan can build something new using the traditional building blocks. In this way, he hopes to revolutionize India's ancient traditions—and maybe create a blockbuster drug in the process. He is already excited about one promising new discovery, a treatment for peptic ulcers, and says it's ready for clinical trials. "We are on the cusp of something big," he says. "Maybe in five years we will look back and see this as the beginning of the new Ayurveda." And the start of a whole new range of modern medicines. (source: Nature Healing - By Aryn Baker - time.com). HYDERABAD: Neem. Turmeric. Now, Ashwagandha. American and Japanese companies have discovered another Indian treasure -- and they are patenting it. According to the officials of the department of science and technology, seven American and four Japanese firms have filed for grant of patents on formulations containing Ashwagandha or extracts of the plant. Fruits, leaves and seeds of the Indian medicinal plant withania somnifera have been used for ages in the Ayurvedic system as aphrodisiacs, diuretics and for restoring loss of memory, the officials said. The Japanese patent applications are related to the use of Ashwagandha as a skin ointment for cosmetic purposes and for promoting fertility. Natreon of the United States has obtained a patent for "an extract obtained from the Ashwagandha plant taken from steep rocks in the Himalayan mountains", officials of the patent facilitating cell said in their report. The report said another US establishment, the New England Deaconess Hospital, has taken a patent on an Ashwagandha formulation claimed to "alleviate symptoms associated with arthritis". An extract found in the bright yellow curry spice turmeric can kill off cancer cells, scientists have shown. The chemical — curcumin — has long been thought to have healing powers and is already being tested as a treatment for arthritis and even dementia. Now tests by a team at the Cork Cancer Research Centre show it can destroy gullet cancer cells in the lab. Cancer experts said the findings in the British Journal of Cancer could help doctors find new treatments. Dr Sharon McKenna and her team found that curcumin started to kill cancer cells within 24 hours. The cells also began to digest themselves, after the curcumin triggered lethal cell death signals. Dr Lesley Walker, director of cancer information at Cancer Research UK , said: “This is interesting research which opens up the possibility that natural chemicals found in turmeric could be developed into new treatments for oesophageal cancer. (source: Turmeric’s Curcumin Effective Against Cancer - hinduism today.com). The war began thus: In May, 1995 the US Patent Office granted to the University of Mississippi Medical Center a patent [#5,401,504] for "Use of Turmeric in Wound Healing." Well, well, well. Some discovery, that. Indians grow up with a constant awareness of turmeric. It permeates their life. It is an easy and generous plant [curcurma longa] that grows throughout the sub-continent. The tuber when dried keeps practically forever. Its decoction is a stubborn dye. It is a condiment that adds character to Indian food and helps digestion. Turmeric powder heals open wounds. Drunk with warm milk, it stems coughs, cures colds and comforts throats. Indians paint doorways with turmeric paste as an insecticide. Women in the south make a depilatory skin cream with it. Add the juice of fresh lime to dry turmeric, let it marinate for three days, dry it in the sun and grind it to a fine powder and voila, you have the brilliant red kunkum that 'dots' Indian women's foreheads and surrounds the gods in the temples. Roots are exchanged between people as a formal symbol of goodwill. Indians place freshly uprooted plants at the altar during Pongal and offer worship . For Indians turmeric is a benevolent goddess. For sound reasons, it transpires. Indian physicians had always packed their kits with turmeric. Now West's formal research was confirming many of its virtues. It is now believed to be able to treat dysentery, arthritis, ulcers and even some cancers. It is also found to protect the liver. Turmeric's grace is stunning cancer researchers. COX-2 inhibitor drugs have been known to block an enzyme called cyclooxygenase-2 which aggravates arthritis. Dr. Mitch Gaynor at the Strang Cancer Prevention Center, New York uses these drugs in cancer treatment to impede this undesirable enzyme. Turmeric goes one step further: Dr. Chintalapally V. Rao of American Health Foundation, Valhalla, NY believes that while COX-2 inhibitor drugs battle the enzyme, the curcurmin element in turmeric prevents even the formation of the enzyme. Consider the implication of 'turmeric patent' #5,401,504. If an expatriate Indian in America sprinkles turmeric powder -- just as her ancestors in India have done for centuries-- on her child's scrape, she would in fact be infringing US patent laws and was open to prosecution. Curry Spice May Inhibit Tumor Growth A compound found in the curry spice turmeric may suppress production of a protein that spurs tumor growth in the body, researchers report. The researchers mixed human pancreatic cancer cells with different amounts of curcumin, which is the substance that gives turmeric its yellow color. Countries like India, where turmeric consumption is high, happen to have less cystic fibrosis, because that genetic defect is most common in people of European descent. Curcumin has no genetic effect. Eating large doses of a substance found in the spice turmeric significantly cut deaths among mice with the genetic disease, and scientists soon will begin studying the effects in people. (source: Turmeric Spice Substance May Fight Cystic Fibrosis - newsyahoo.com). The hot Indian curries that account largely to the over £3 billion a year turnover of the Indian food industry in Britain guard against the deterioration of human brain, according to the latest scientific finding. It also has a role in "encouraging" a lucid old age. This is why it is being now said that India, which produces and consumes most of the world's turmeric, a chemical compound in the curry ingredient curcumin, has lower rates of Alzheimer's than in western countries, dropping to just one per cent of over-65s in some areas. A study into the health benefits of curcumin, which is found in kormas, hot or mild, has now confirmed that it protects against the onset of Alzheimer's disease. Scientists have discovered that curcumin oil is a chemical trigger that enhances enzyme activity. It in turn protects the brain against the progression of neuro-degenerative disease. . "There are 9000 curry houses in the country and London has more Indian eating places than in Mumbai or New Delhi. (source: Turmeric is new wonder drug - msn.co.in). The European Patent Office has upheld the revocation of a patent on the Indian 'neem' tree, dealing a killer blow to biopiracy in Europe and around the world. The EPO originally issued the patent to the US chemicals multinational W R Grace on September 14, 1994, before withdrawing it under pressure from the Green Group led by former Belgian Health Minister Magda Alevoet, and environmental activists Vandana Shiva and International Federation of Organic Agriculture Movements (Germany) vice-president Linda Bullard on May 10, 2000 on grounds that W R Grace's application was a kind of biopiracy. The dispute started more than 15 years ago on December 12, 1990 when W R Grace and the US government filed a European patent application for the 'neem' tree with the EPO. Commenting on EPO's decision, Alevoet told Belgian daily Le Soil on Thursday: "It is a victory for traditional knowledge and practices." "This is the first time anybody has been able to have a patent rejected on these grounds. Secondly, it is a victory for solidarity with the people of developing countries who have definitely earned the sovereign rights to their natural resources," she said. (source: Victory for India: Neem patent revoked - rediff.com). Hundreds of herbs used for centuries by traditional healers in India could soon be on western pharmacy shelves. Clinical trials have shown that herbal remedies for asthma, diabetes and even sexually transmitted diseases may be effective. The council is looking at treatments for a range of other conditions used for over a thousand years by practitioners of Ayurveda and Siddha medicine. Professor Ranjit Roy Chaudhury, a member of the council, said that in some cases the herbs may be more effective than Western-style medicines. "We have plants for bronchial asthma, hepatitis and arthritis," he said. (source: Doctors investigate Indian herbs - BBC - Sept 30 2002). The curry-leaf tree (Murraya koenigii) from India, which is reputed to have potential benefits in treating diabetes. The researchers found extracts from the curry-leaf tree appeared to restrict the action of a digestive enzyme called pancreatic alpha-amylase which is involved in the breakdown of dietary starch to glucose. So now under the guise of Complementary and Alternative Medicine (CAM), India’s traditional medical systems are being mined by researchers in the West. They are discovering “scientific evidence” that validates traditional claims. And, increasingly, it turns out to be the first step towards exploitation by multinational pharmaceutical companies. This week, researchers at King’s College, London, claimed that the curry-leaf (Murraya Koenigii), which is traditionally used in both Ayurveda and Indian cuisine could aid people with diabetes. The research is being supported by a leading US drug company, Merck Research Laboratories. (source: Curry leaf for treating diabetes and http://www.indolink.com/SciTech/fr093004-082744.php). Indraprasth, Dec 8 (UNI) - After Neem, turmeric and jamun, now it is cow's urine, traditionally used for medicinal purposes in India, which has been patented in the United States as a distilled bio-enhancer. The government was aware of this fact and was considering the steps to be taken in this regard, official sources said here. Cow's urine is a component of 'Panch Gawya,' a mixture of cow's milk, curd, ghee, urine and dung, used from ancient times as a component of food and medicine. 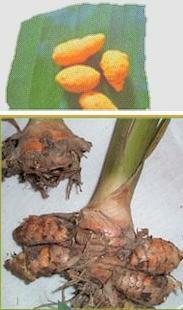 It is also used in various ayurvedic medicines. Though there was no separate strategy for popularizing use of Panch Gawya, it was being popularised as part of the popularisation of the Indian System of Medicine and Health medicines, they said. Now with the patenting of Cow's urine has confirmed the belief of naturopaths that it has got medicinal properties which enhances the life span. Former Prime Minister Morarji Desai was among the staunch supporters of cow' urine. Earlier, the patenting of turmeric and neem in the US had created a furore in the country as people protested the patenting of traditional Indian knowledge abroad. Monsanto, the world's largest genetically modified seed company, has been awarded patents on the wheat used for making chapati - the flat bread staple of northern India. The patents give the US multinational exclusive ownership over Nap Hal, a strain of wheat whose gene sequence makes it particularly suited to producing crisp breads. Another patent, filed in Europe, gives Monsanto rights over the use of Nap Hal wheat to make chapatis, which consist of flour, water and salt. Environmentalists say Nap Hal's qualities are the result of generations of farmers in India who spent years crossbreeding crops and collective, not corporate, efforts should be recognised. Greenpeace is attempting to block Monsanto's patent, accusing the company of "bio-piracy". After the Basmati patent controversy, it is now the turn of Indian wheat, which the US agro produce major Monsanto is attempting to register under its patent name in Europe, where the wheat had once become so popular that it had won first prize for four consecutive years between 1916 and 1920. The Research Foundation for Science, Technology and Ecology, an NGO, has moved the Supreme Court alleging that the Centre had failed to take the matter vigorously with the European Patent Office (EPO), and sought a direction to the government to take necessary action. The NGO has accused Monsanto of “blatant violation” of patent system while filing a claim before the EPO. It said the Indian wheat variety had originated in the Indian sub-continent as a result of over a thousand years of “indigenous” knowledge and practice by the farmers. Any intervention by an outside entity to claim patent of the produce, was violative of the World Trade Organisation norms. (source: Monsanto's chapati patent raises Indian ire - guardian.co.uk and After Basmati, it’s now the turn of wheat- tribuneindia.com). New Delhi, December 9: Now it is the turn of atta chakkis. The traditional knowledge of producing atta has become a victim of the patent rights regime. Hundreds of atta chakkis and modern flour millers and wheat exporters may fall into the trap being laid by a Nebraska-based company, ConAgra. The US Patent Office has granted patent rights to ConAgra Inc for the “method for producing an atta flour” vide no 6,098,905. The patent application filed by ConAgra said “the present invention relates to a method for producing an atta flour, which is typically used to produce Asian breads such as chapati and roti. Deputy DG of ICAR, Dr Mangla Rai, said that not only attempts should be made to document and preserve our traditional knowledge but also we should make innovations on the basis of our traditional knowledge and patent the same. (source: Now, a US patent for atta chakkis - Indian Express December 8 '02). WATER is the basis of all life on earth. Of the Panchmahabhut or the five natural elements, water is considered to be the key to life. Human beings feel a close affinity to it, since three-fourths of the human body is constituted of water. In this respect, our body is like a microcosm, as the surface of the earth (the macrocosm) is constituted similarly, being three-fourths, water. The confluence of three rivers Ganga, Yamuna and Saraswati at Prayag stands for the meeting of Ida, Pingala and Sushumna Nadis at Muladhar Chakra known as Yukta Triveni. Kumbha symbolises the arousing of six chakras to reach Ajna Chakra where these three nadis meet again to form the Mukta (Liberation) Triveni for yogis. The Ganga always flows and rushes very fast to the sound of Gama-Gam (meaning go-go) while the Yamuna moves slowly with a placid flow to the sound of Yam-Yam (meaning control-control). Likewise whether one acts fast in life or acts after deliberate thinking, it must be decided by his knowledge and temperament. And both these aspects should be supported by the invisible Saraswati, the faculty of Jnan (knowledge). The meeting of these three rivers in the spiritual realm represents the three gunas or qualities of the native, i.e. Sattvic or subtle represented by Saraswati; Rajasic or the vibrant Ganga; and Tamasic or the dark Yamuna. These three rivers also signify the three saktis, Mahalakshmi, Mahakali and Mahasaraswati; the three sacred fires of sacrifice; the three Gods Brahma, Vishnu and Mahesh; and the three notes of music, Sa for Saraswati; Re for Yamuna; and Ga for Ganga. Further deep in the spiritual sphere, these three rivers represent the three phases of time i.e. present, past and future; the triangle or minimum space enclosed in time; Nad, Bindu and Kala; and the three humours, vata, pitta and kapha. The Triveni also denotes the three basic philosophies of the Gita, i.e. Jnan Yoga, Karma Yoga and Bhakti Yoga. The Kumbha occurs in a cycle of every 12 years - the most sacred or auspicious time is calculated on the basis of a specific planetary configuration, considering its cosmobiological effect on the human body and mind. Various astronomical conjugations during Kumbha represent various stages of the solar cycle which has a direct influence on human beings and the biosphere. The ritual bath or snan on specific days i.e. full moon, new moon and Basant Panchami have been specifically prescribed on the basis of the bio-effects of lunar phases. The imposed electromagnetic fields on water are transmitted into the human beings taking bath in the Holy Prayag giving them great health benefits. The number 12 here signifies time or Kal as there are 12 adityas, 12 zodiac signs, 12 months, and 12 Jyotirlingas (self-emergent sivalingas). The entire world exists in time, moves in time and space, and is controlled by time. According to Atharvaveda, Kumbh is the representation of space situated in Kal supervising all of us. Spiritually the holding of Kumbha at an interval of 12 years symbolises the need for purifying the body by sublimating the inherent vices of the 12 sense organs, i.e. Panchkarmendriyas (five organs of action), Panchjnanedriyas (five organs of perception, the mind and the intellect - and thereby to arouse the six psychic centres or chakras separated from each other at a distance of 12 angulas for attaining the Amrit Kumbha or pitcher of nectar. There is another mystical explanation of the Kumbha. The human head and neck form an inverted pitcher or Kumbha from where Amrit or nectar flows downwards into the body. The two eyes represent the sun and moon gods, the nostrils represent Ganga and Jamuna, the tongue is Vani or Saraswati and it spans 12 angulas of space. Astrologically during Kumbha the three grahas, Jupiter, Sun and Moon, play a prominent role in the two Zodiac signs, Taurus and Capricorn respectively. The presence of Sun in Capricorn or Makara signifies the Swadhishtan Chakra, the centre of procreation representing the water element. Makara also signifies the Kama as Kamdev, popularly knows as Makaradhwaj. Accordingly Madam Blavatsky in her famous book Sacred Doctrine records that Capricorn is universal intelligence, which is transformed into human intelligence through water. It is therefore that one of the famous Shahi Snans occurs on Basant Panchami, the day of Kamdev. Likewise Jupiter's or Jiva's (life force) presence in Taurus signifies the creative power of universe, Shiva Shakti or the Male and female forces. From time immemorial, certain trees and plants in India have been invested with divine attributes. Hindus were taught to worship and revere trees and plants in the belief that it would influence their own personal well-being. Evergreen trees were regarded as symbols of eternal life and to cut them down was to invite the wrath of the gods. Groves in forests were looked upon as habitations of the gods. The banyan tree occupies the pride of place amongst the sacred trees of India. It has aerial roots that grow down into the soil forming additional trunks. It is, therefore, called bahupada, the one with several feet. It symbolizes a long life and also represents the divine creator, Brahma. It is invariably planted in front of temples. The numerous stems of the banyan tree are even regarded as the home of gods and spirits. It was under a banyan tree that the Hindu sages sat in a trance seeking enlightenment and it was here that they held discourses and conducted holy rituals. Some banyan trees reached a height of over 100 feet and more than 1000 feet in circumference. No wonder, it is stated that 10,000 men could be covered by a single tree. We come across a mention of the banyan tree in many travelers’ accounts. Bishop Heber (1825) was so impressed by the sight of this tree that he exclaimed: "What a noble place of worship". Travelers’ tales even inspired the great English poet Milton to give description of the banyan tree in Paradise Lost in the following lines. High over-arched and echoing walks between." In Hindu mythology, the tree is called Kalpavriksha, the tree that provides fulfillment of wishes and other material gains. The worship of the tree is also represented in a Buddhist sculpture with its long hanging roots dropping gold pieces in vessels placed below. Another great tree of India is the peepul to be found all over the country. Known for its antiquity, it finds a mention in many Hindu scriptures as a sacred tree whose worship is regarded as homage to the Trinity — Brahma, Vishnu and Shiva. The tree is treated as a Brahmin and special offerings made to it in the morning and lamps lit there in the evening. The tree is also associated with the old vedic ritual of lighting a sacrificial fire with a twig of the peepul tree. Even now, village women may be seen worshipping the tree by watering its roots and placing some milk and eats for the serpents and insects residing there. Every village has its special peepul tree and the village elders hold their councils beneath its hallowed foliage. The most famous of these trees is the sacred peepul at Gaya under which Buddha sat when he attained Enlightenment. Since then the peepul tree is also called the Bo or the Bodhi tree and Prince Sidharath came to be known as Buddha. It is also believed to be a symbol of fertility and women worship it for progeny. The tree waves its leaves in an uncanny way and their trembling with a fluttering sound is attributed to spirits agitating in each leaf. This puts fear of the gods into the hearts of common folk. The banyan and the peepul trees are symbols of the male and ceremoniously married to those of the female category. James Forbes, in his Oriental Memoirs (1813), mentions about a wedded banyan tree or the Palmyra and Burr tree united, that he saw at Salsette. The bilva or oak-apple and the Asoka trees are associated with different deities. The Asoka tree is sacred to Kama, the god of love, and according to folklore, its buds will open up in full bloom when the foot of a young beautiful maiden touches its roots. The bilva with its three leaves resembling the trishul, or the trident held by Lord Shiva finds mention in Hindu mythology. Its fruit is a blood purifier. Besides the sacred trees, there are some sacred plants, notably the tulsi plant which is found everywhere in sandy and fallow lands. It is an ancient variety of the basil. tulsi is considered to be the wife of Vishnu and worshipped by the Hindus. 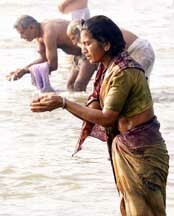 In homes, tulsi is grown in pots and womenfolk offer daily puja and pour an oblation of Ganga water. A mere touch of the plant is believed to purify the person and giving a twig of tulsi to anyone is considered as a protection from dangers and difficulties. Tulsi leaves are also put in the mouth of a dying man for the salvation of the soul. Among other virtues of the tulsi are its medicinal properties. Its leaves have a pleasing aroma and act as a cough elixir and cordial. Leaves are also eaten to help digestion and prevent other maladies like cold and chill. No wonder, the Hindus deified the plant for its numerous qualities. Darbha or kusha is a sacred grass essential in all sacrifices. This plant is found in damp marshy ground. It is rough to the touch and pointed at the top. According to an old legend, it was produced at the time of the churning of the ocean by the gods and demons. It is also said that the gods while drinking amrita or the nectar of immortality shed some drops on this grass which thus became sacred. There is a mention of it in the Hindu scriptures and the epics. The Kusha grass is therefore worshipped by Brahmins and used in various religious ceremonies as it is believed to have the virtue of purifying everything. Globalization has made it easier for companies in wealthy countries to take advantage of poor countries by filing patents for crops, medicines and chemicals that traditional cultures have been cultivating and using for centuries. This year, the poor countries have figured out a way to fight back: they are creating digital libraries for their ancient cultural knowledge. India, probably the largest victim, is cataloging its traditional knowledge on a protected Web site and on DVD's it will send to patent examiners worldwide. The next time someone proposes patenting the use of a traditional Indian herb or spice for a particular medicinal purpose, examiners will be able to see if Indian Ayurvedic medicine described the process centuries ago. In June, the United Nations' World Intellectual Property Organization (WIPO) unveiled a Web site with parts of the Indian digital library, as well as a database of patents based on traditional medicine granted in Beijing to Chinese inventors. WIPO is urging other countries to catalog their cultural and biological patrimony, and is asking patent examiners to search these databases when considering relevant applications. The United States patent office, not surprisingly, sees its mission as encouraging innovation through the generous granting of patents, and those who disagree can slug it out before a judge. Woefully overstretched examiners have only a few hours to see whether an idea is new, and they cannot reject a patent application on common sense alone. ''Patent offices have terrible problems knowing who's doing what where, especially outside their home countries,'' says Greg Aharonian, a San Francisco patent consultant. And traditional knowledge -- which often exists only orally -- is especially hard to pin down. Ayurvedic medicine is written -- in verse. The Indian database translates the verses from Sanskrit to modern languages, updating the names of plants and diseases and grouping them into standard patent classifications. Digital libraries for other Indian traditional medicines are in the works. (source: Patent Your Heritage - http://www.nytimes.com/2002/12/15/magazine/15PATE.html). The ecological traditions of India, especially Kerala face serious threat in the form of religious conversion, according to noted environmental scientists, technologists and ecologists. This was revealed here on Wednesday by none other than Dr Nanditha Krishna, Chairperson, C P Ramaswami Aiyar Foundation. Delivering the introductory speech of the seminar on “ Conservation of Ecological Traditions and Sacred Sites of India”, with special emphasis on Kerala, Dr Nanditha pointed out that religious conversion happening all over the country at an alarming rate has destroyed forests and holy groves (popularly known as Kaavus in Kerala). “The proselityzers and the newly converts do not have any emotional attachments with the holy groves. In most of the cases, the newly converted people see to it that the holy groves are destroyed at the earliest,” Dr Nanditha said. She pointed out with statistics that many dense forests and groves in north east India became the main target of the Christian missionaries engaged in the harvesting of souls in the areas. Dr Nanditha said that the Kaavus, especially the sarppakaavus ( fanily temples where the snakes were worshipped) were destroyed indiscriminately as a result of urbanization and religious conversion. “This is causing havoc all over the country. The team of scientists from the CRP Foundation found to their dismay that Kerala, popularly known as God’s Own Country, is fast emerging as a drought stricken state. The new generation among the Hindus show scant regard to the traditional Kaavus and groves,” Dr Nanditha said. Substantiating the findings of the CRP Foundation team were the revelations by Shri M Amrithalingam, a well known botanist and ecologist. Shri Amrithalingam, with more than two decades of research experience in the ecological system of south India told the seminar that unless and other wise something is done to arrest the destruction of the holy groves, the country is in for serious crises, like drought and shortage of water. “While we had small sized forests attached to the Hindu tharavadus in Kerala, urbanization and religious conversion have denuded them. There were many scientific reasons for worshipping forests, animals and groves,” Amrithalingam explained. Shri T Madhava Menon, formerly of the Indian Administrative Service spoke on the Tribal Communities and Heritages of Kerala. Dr C R Rajagopalan, Dr S Rajasekharan, Shri E Unnikrishnan, Dr K P Thrivikramji and Dr Ashalatha Thampuran presented papers on the various aspects of ecology and environment. Earlier, Adoor Gopalakrishnan, noted film maker who inaugurated the seminar expressed apprehension over the findings of the CPR Foundation. More than hundred college students from various parts of the state attended the seminar. (source: Haindava Kerala Correspondent - THIRUVANANTHAPURAM). For more refer to chapter on Conversion. To deal with the impact of climate change in agriculture, farmers in Himachal Pradesh are being trained by a German scientist in the ancient Indian vedic homa therapy. Ulrich Berk claims the Vedic homa therapy, which invokes prayers, has been found to aid farming. This farming technique is called 'Homa' (traditional vedic farming method through prayers) farming here. Berk has made some alterations in the centuries old technique to make it contemporary. Berk said that if the farmers practice 'Homa' therapy it might rain in their farms as the therapy creates microclimate around one's farm. "It is possible that if the farmers practice 'Homa' farming here that it might rain as it creates microclimate around your farm and you will be safe. The capacity of soil to absorb the moisture will be increased," said Berk. Lalit Mohan Sharma, a farmer in Rampur , said that by practicing 'Homa' farming pollution can be controlled to a large extent. "Earlier in Hindu culture, life used to revolve around Vedas and today he has given a demonstration of 'Homa' farming and also told us that by practicing this technique pollution can be controlled," said Sharma. The farmers are very delighted to adopt the traditional methods of farming and offering prayers. They believe that the prayers offering will help the farmers to purify the atmosphere and bring timely rainfall to have good crop. (source: German scientist trains farmers on ancient Indian vedic homa therapy - newkerala.com). I grew up watching my father stand on his head every morning. He was doing sirsasana, a yoga pose that accounts for his youthful looks well into his 60s. Now he might have to pay a royalty to an American patent holder if he teaches the secrets of his good health to others. five international languages, so that patent offices in other countries can see that yoga didn't originate in a San Francisco commune. gross violation of the tradition of yoga. In Sanskrit, "yoga" means "union." Indians believe in a universal mind - brahman - of which we are all a part, and which ponders eternally. Everyone has access to this knowledge. Knowledge in ancient India was protected by caste lines, not legal or economic ones. The term "intellectual property" was an oxymoron: the intellect could not be anybody's property. Perhaps it is for this reason that Indians do not feel obligated to pay for knowledge. Pirated copies of my book are openly sold on the Bombay streets, for a fourth of its official price. Many of the plots and the music in Bollywood movies are lifted wholesale from Hollywood . Still, Indians get upset every time they hear reports - often overblown - of Westerners' stealing their age-old wisdom through the mechanism of copyright law. The fears may be exaggerated, but they are widespread and reflect India 's mixed experience with globalization. that worldwide, 2,000 patents are issued a year based on traditional Indian medicines. all mankind, so should the formula for Gleevec, the leukemia drug over whose patent a Swiss pharmaceuticals company is suing the Indian government. For decades, Indian law allowed its pharmaceutical companies to replicate Western-patented drugs and sell them at a lower price to countries too poor to afford them otherwise. In this way, India supplied half of the drugs used by HIV-positive people in the developing world. But in March 2005, the Indian Parliament, under pressure to bring the country into compliance with the World Trade Organization's rules on intellectual property, passed a bill declaring it illegal to make generic copies of patented drugs. This has put life-saving antiretroviral medications out of reach of many of the nearly 6 million Indians who have AIDS. Yet the very international drug companies that so fiercely protect their patents oppose India 's attempts to amend World Trade Organization rules to protect its traditional remedies. There's more at stake than just the money. There is also the perception that the world trading system is unfair, that the deck is stacked against developing countries. If the copying of Western drugs is illegal, so should be the patenting of yoga. It is also intellectual piracy, stood on its head. (source: Can wisdom be patented? - by Suketu Mehta International Herald Tribune May 7 2007). An Indian herbal formulation with regenerative properties. While all attention is riveted on the furore over CPI(M) The Communist Party of India-Marxist leader Brinda Karat's diabolical attempt to denigrate and discredit Ayurveda and Ayurvedic drugs which together are rapidly gaining popularity and posing a challenge to multinational drug companies, few would have noticed that an American firm has surreptitiously patented Jeevani, an Indian herbal formulation with regenerative properties. The Kani tribe of Kerala had harnessed native knowledge and used indigenous plants to create this wonder diet supplement. Subsequently, Tropical Botanical Garden and Research Institute, in collaboration with the tribe, had developed Jeevani as a packaged product. That was nearly a decade ago. Although a local patent was procured, nobody bothered to take note of patent laws that have come into force in the post-WTO era. The American firm, Good Earth Companies Inc, has made full use of this lapse and, after patenting the brand, released its own product labelled as 'Jeevani Jolt 1000' whose ingredients are the same as those in the original Indian formulation. Technically, Good Earth has not violated any law. Given the smash-and-grab attitude of American enterprise, it would be silly to expect any US firm to be guided by ethics. If anybody is to blame, it is the sprawling bureaucracy of India which is too slothful to respond to the changing times. By the time a file makes its way from one desk to another in its inexorable journey through the hierarchy of India's babudom, someone somewhere would have outwitted those charged with - and paid by taxpayers - to protect India's interests. We have seen this happening in the past with Neem, Haldi and Basmati being patented and our babudom waking up from their paid-for-slumber with a start only after reports appeared in the media. This time, too, we can expect our bureaucrats to feign ignorance and their political bosses to voice faux indignation. There are other reasons, too, why we continue to lose out on indigenous medicines, often to foreign firms. To begin with, Indian systems of medicine are poorly documented. Modern medicine demands proof on the efficacy of a particular formulation, which is most often not documented in the case of traditional drugs. The Government's effort to overcome this obstacle through a partnership between CSIR, ICMR and Department of Ayush is welcome, but the pace is far too slow to merit any applause. Moreover, the marketing of indigenous medicines is poor. A last point: Indigenous systems have not cultivated a culture of quality control as is understood in the context of modern, consumer-driven markets. We need to introduce standardisation across industry. The State drug controller's establishment does not have the expertise to check Ayurvedic samples. The Government is at last talking about creating the post of an additional director-general in the proposed National Drug Authority and four AYUSH inspectors. But given the snail's pace at which Government works, and the pro-active campaign by MNCs to prevent the emergence of indigenous medicines as a challenger to their hegemony, adequately backed by the campaign of calumny launched by their stooges in the Left, we can only wait for all this to happen. (source: Our loss, US's gain - The Pioneer Edit Desk - Jan 7' 2006). The Japanese have worked really hard to understand the basic concepts in ayurveda and now they know that the discipline offers solutions for a number of ailments, which cannot be cured by modern medicine alone. It is true that the country has one of highest life expectancies in the world and now they are striving for longer quality of life with the help of ayurveda. The life style diseases including diabetes, hypertension and cardiac problems are also growing in Japan and people are turning to traditional medicine. The traditional medicine system in Japan has its root in oriental system as practised in China, but it has its own limitations. The country has been fast enough to realise the significance of inter-disciplinary approach in medicine system, taking the best out of every medicine system. "India also needs to take a leaf out of this practice in Japan, if it is wishing to address a wide range of diseases and improve health conditions," added Dr. Krishna. (source: Japan Making a better use of Ayurveda - timesofindia.com). Among the fascinating legends told about the origin of chess is the story of Sissa, a scientist and the inventor of the game. In western India, Raja Balhait had asked his advisers to create a game that demonstrated the values of prudence, diligence, foresight, and knowledge. Sissa brought a chessboard to the raja and explained that he had chosen war as a model for the game because war was the most effective school in which to learn the values of decision, vigor, endurance, circumspection, and courage. The raja was delighted with the game and ordered its preservation in temples. He considered its principles the foundation of all justice and held it to be the best training in the art of war. The raja said to his subject Sissa, "Ask any reward. It will be yours." Being a scientist, Sissa felt rewarded by the pleasure his invention was giving others; but the kind insisted, and finally Sissa said, "Give me a reward in grains of corn on the chessboard (ashtapada). On the first square one grain, on the second two, on the third four, on the fourth double of that, and so on until the 64th and last square." The raja would not hear of it. He insisted that Sissa ask for something of more worth than grains of corn. But Sissa insisted he had no need of much and that the grains of corn would suffice. Thereupon the raja ordered the corn to be brought; but before they had reached the 30th square, all the corn of India was exhausted. Perturbed, he looked at Sissa, who laughed and told his raja that he knew perfectly well he could never receive the reward he had asked because the amount of corn involved would cover the whole surface of the earth to a depth of nine inches. The raja did not know which to admire more: the invention of chess or the ingenuity of Sissa's request. The number involved is 18,446,744,073,709,551,615 grains. This number had been previously calculated by the early Indian mathematicians, who incidentally, had invented the decimal system long before it reached the Arabs and Europe. (source: Feast of India: A Legacy of Recipes and Fables - By Rani p. 84).